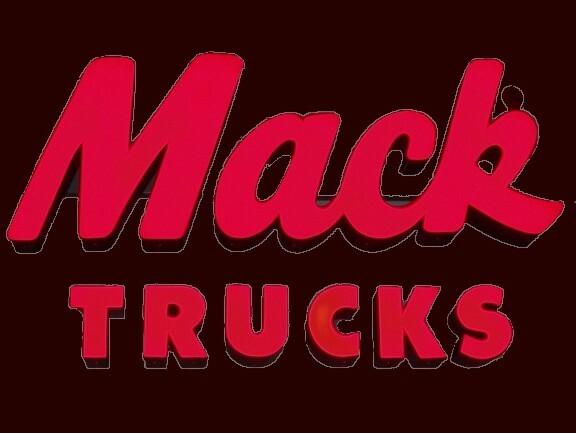 description: Large cans make up the lettering for the "Mack Trucks". These cans are filled with neon tubing and transformers to power the neon. The cans are then covered with large opaque letters which allow the light to flow through. information: This sign is part of a two part set. The other half of the sign is a large picture of a bulldog, which is lit by fluorescent tubes, rather than neon.